Our own Chris Livingston has been busy, as always. 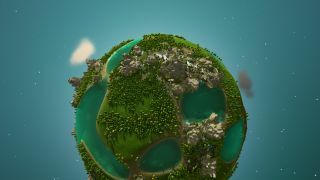 He's been playing god-game The Universim, and he is a vengeful and clumsy god. He also took a dive into the Spider-Man games that are available on PC, none of which seem likely to drag me away from Lego Marvel Super Heroes any time soon even though they are Very Good and Definitely Not Bad. I'm pretty sure he's still playing Scum too, although someone else has beaten him to the best way to play, which is by lying down and eating fat. We've also got a reviewer on the big release of the week, by which I mean Megaquarium of course. Oh, and Shadow of the Tomb Raider too. Steven Messner's still hip-deep in World of Warcraft after reviewing the Battle for Azeroth expansion, and he is not alone. Meanwhile Joe Donnelly's been inspired by Unavowed to try one of Wadjet's earlier adventure games, The Shivah, while Andy Kelly's gone back to Okami's fancy HD edition and had a real nice time. Wholesome. Our magazine columnist Xalavier Nelson Jr. has been playing No Man's Sky, treating it like Animal Crossing and getting a kick out of that. Although he has also enjoyed running away from space eggs. Finally, I've been playing a very NSFW game I found while trawling itch.io a while back called Hardcoded. It's about an escaped android who joins a group of friends investigating a mysterious incident in their cyberpunk city home, an incident that has somehow made everybody extremely horny. It means it with that 18+ warning. Enough about us. What have you played in the last week, readers? Are you also stuck in the WoW hole again, or are you playing Two Point Hospital? Are you one of the 700,000 people playing Scum? If you've found any good NSFW games on itch, um, let me know.